Newark is renowned for its commitment to arts and culture, a feature that is quite evident in its downtown cityscape. The city center contains plenty of gorgeous architecture and will provide a beautiful setting for your engagement photo session. Start off your engagement photo shoot at the Trinity and St. Philip’s Episcopal Church, located in the heart of downtown Newark. 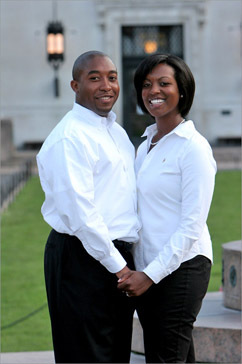 Have your engagement photographer organize a portrait of you and your fiancee beside one of the towering Greek columns. 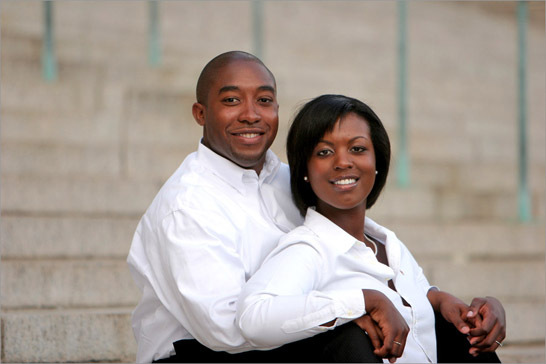 You and your loved one can also pose for a portrait beneath the church’s elegant front entrance. Afterward, have your engagement photographer take a photo from street level, with the church’s immaculate steeple in the background. Finally, take some photos in the side yard, against the backdrop of the church’s red brick walls and stained glass windows. Once you’ve finished at the Episcopal church, take a short walk over to Eberhardt Hall, located on the New Jersey Institute of Technology (NJIT) campus, just a few blocks away. The oldest building on campus, Eberhardt Hall is listed on the National Register of Historic Places. Upon arriving, have your engagement photographer create a portrait of you and your fiancee seated on the front steps or beneath one of the large shade trees in the foreground of the building. You can then pose for a photo on the lush green lawn, using the building’s beautiful Gothic Victorian architecture as a backdrop. Finally, walk over to Newark’s Lincoln Park, located about a mile away from the NJIT campus. Take a relaxed stroll along the park’s pathways as your photographer captures some candid photos. You can also pose for some seated photos on one of the park benches or for an intimate portrait beneath one of the park’s many trees. The area around the NJIT campus offers a plethora of stunning structures for your engagement photo shoot. A perfect example of Italian Renaissance architecture, the Newark Public Library is a great place to create some beautiful engagement photos. You and your fiancee can pose for a portrait at the building’s entrance, beneath the neatly designed arch or seated on the front steps. You can also pose for photos along the exterior marble walls. Venture inside the library and you’ll find yourself inside a magnificent, bright marble lobby. Have your photographer take some photos of you and your fiancee on the ground floor or on the second-floor balcony overlooking the lobby. After you’ve completed your photo shoot at the Newark Public Library, make your way over to the St. Patrick’s Pro-Cathedral, only a few blocks away. This majestic cathedral is a formal cathedral of the Roman Catholic Church and is on the National Register of Historic Places. From street level, your engagement photographer can organize a photo of you and your fiancee using the cathedral’s neo-Gothic architecture as a backdrop. You and your loved one can pose for photos against the cathedral’s crimson brick walls or in front of the entrance steps. Afterward, pose for some casual photos in the cathedral’s cozy side yard. Your last stop on this itinerary will be Dayton-Weequahic Park, only a few miles from the cathedral. 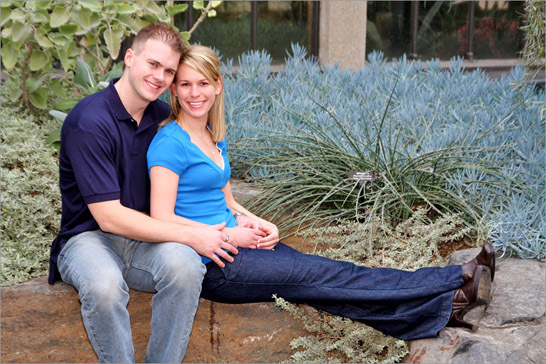 The park contains many green grassy areas where you and your fiancee can pose for some relaxed photos. Afterward, take a leisurely promenade across the park and stop for photos beneath the numerous shade trees. For some truly unique engagement photos that will capture the industrial flavor of New Jersey, visit the East Newark’s abandoned “Annie” Bridge, which was featured in the 1982 motion picture, Annie. You and your fiancée can walk along the railroad tracks beneath the bridge’s steel construction as your engagement photographer captures some beautiful silhouetted photos. The adventurous couple can also do a bit of climbing around on the bridge, which will make for some really creative snapshots! Walk out onto the old wooden dock near the bridge and have your engagement photographer take some photos of you and your fiancée by the waterfront. There are also plenty of abandoned warehouses in the nearby area that will also fit the mood of your engagement photo shoot. A short walk just past the bridge will lead you to this rare, industrial setting, which will make for some great photo ops. Finally, have your engagement photographer take some photos of you and your loved one relaxing in the dry grass that covers the bridge’s surrounding area. This is a photography location that you’re not likely to find in any other engagement photo albums!